When it comes to selling your products or services from your website, you may be advised to set up a PayPal account and/or create some PayPal "Buy Now" buttons to add to your website pages. Before getting started, take a look at our handy little guide, so that you know exactly what code to send through to us, for us to embed on to your site! Step 1. 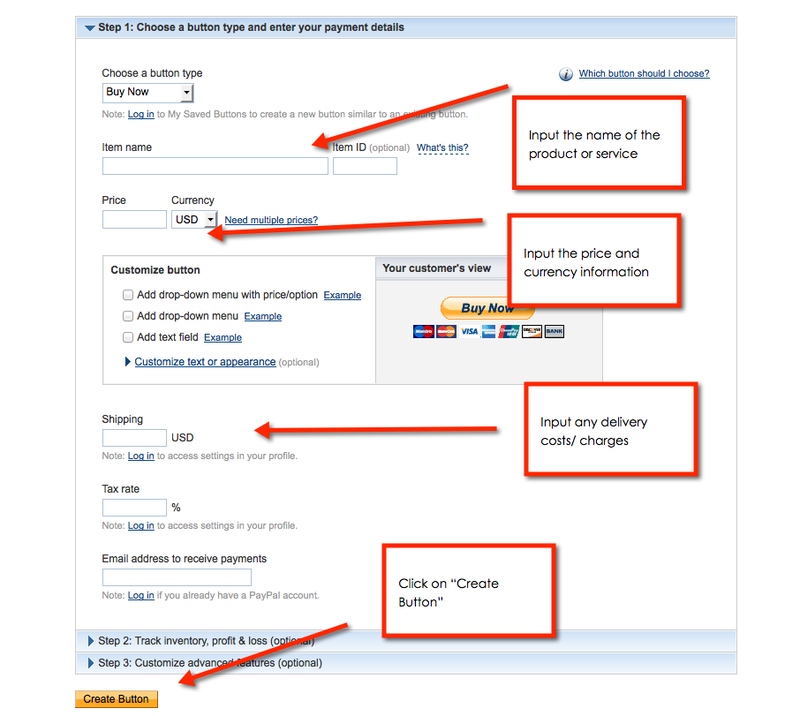 Once you've created a PayPal account you will need to visit the Buy Now Buttons page. Step 3: Once the button has been created, you will be faced with some code. It might look like gobbledygook but don't worry, all you need to do is copy the code from the box shown in the screen shot below. Step 4: Send the code for each of the buttons to your web design company. Or in this case, your project manager! We would advise on sending them separately with the email title stating which product or service they are for, in order not to complicate things!